Marvel is ready to explore the new characters of the Star Wars universe, starting with everyone's favorite Resistance pilot, Poe Dameron! According to ComicBookResources.com, the title launches in April, and "comes from a pair of comic creators -- Charles Soule and Phil Noto -- that are veterans of Marvel's Star Wars line. The series marks writer Soule's third entry into the canon, following the "Lando" and "Obi-Wan & Anakin" limited series. 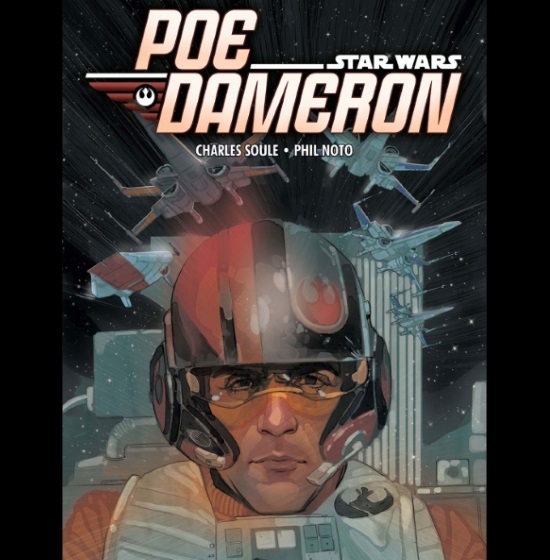 Noto will serve as Soule's co-pilot, making "Poe Dameron" the artist's second Star Wars series following "Chewbacca." Poe, as played by Oscar Isaac, has become a breakout character from "The Force Awakens," and series writer Soule told USA Today that seeing “people reacting to him so strongly now just feels like we’re hopefully in a great position."